If you’re feeling a bit worn down by the slew of fictional films vying for your attention during this end of the year Oscar campaign mode, consider taking a break from it all by watching films grounded in a bit more reality. 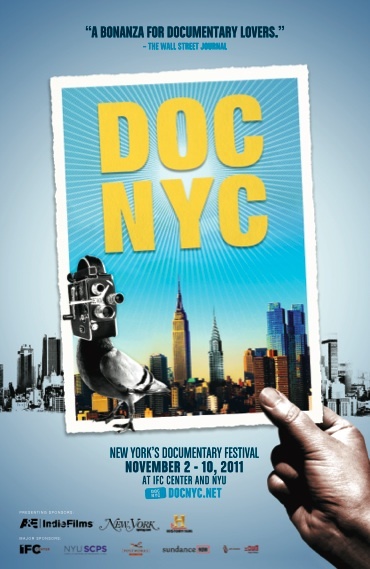 While not as glamorous as The New York Film Festival or as star studded as The Tribeca Film Festival, DOC NYC is perhaps one of the premiere documentary festivals in the country and it’s certainly the best place to catch the best of what’s out there in nonfiction filmmaking. Set to take place this year on Nov. 2-10, the festival selections are screened at the IFC Center and New York University’s Skirball Center for the Performing Arts. The festival opens by featuring Into the Abyss, the latest film of Werner Herzog, one of the most influential figures in New German Cinema. The screening will take place on Wednesday, Nov. 6 at the NYU Skirball Center. Another big name to the festival is Jonanthan Demme, who will be attending the Q&A after the screening of his latest documentary work, I’m Carolyn Parker: The Good, The Bad, The Beautiful. You’ll be able to catch this documentary on either Friday, Nov. 4 or Thursday, Nov. 10 at the IFC Center. The Q&A with Demme only coincides with the Nov. 4 screening. The festival is also paying tribute to Richard Leacock, a pioneer in documentary filmmaking who passed away this year. Interesting events include a screening of selected Leacock shorts on Sunday, Nov. 6 at the IFC and also Jane Weiner’s work in progress documentary called On Being There with Richard Leacock, which features footage she’s shot of the filmmaker over 38 years. DOC NYC also has some prestigious and unique awards to dole out. There’s a series called Metropolis Jury Prize, which features seven documentaries in competition for the most unique New York themed story. There’s also the Viewfinders Jury Prize, which is awarded to a director with a unique vision on a worldly topic. And no festival would be complete without its own Audience Award. If you’re eager to see what this year’s award winners will be, be sure to check out the intriguing slew of films in competition for these prizes. Tickets and festival passes are available online.